Dubai, UAE, August 07, 2018: Reminiscent of extravagant royal feasts, the traditional Thali lunch at Antique Bazaar, Four Points by Sheraton Bur Dubai features a curated spread from across the landscape of India. The menu changes daily from Saturday to Thursday, presenting an assorted selection of vegetarian and non-vegetarian delicacies. 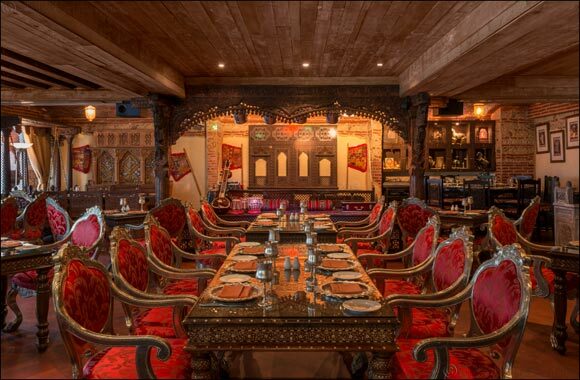 Priced at AED 31, watch out for the vegetarian thali, including unlimited paneer and hearty vegetarian preparations along with vegetarian kebab and dessert that perfectly highlights the charm of age-old favourites. Keen carnivores can dig into the non-vegetarian thali, priced at AED 36, for unlimited lamb and chicken specialties prepared using the finest cuts of meat and classic Indian spices. With assorted mouth-watering treats and new desserts to choose from every day, Antique Bazaar promises to make your lunch time an indulgent affair.